When he who was called Geiga, of the Long Night Mark, in great ceremony, over five days, climbed the Five Thousand Steps, and entered the SuMu, the Heart of Emptiness, at the summit and the centre of Shar, he put off his natal name and the blood of his ancestral clan, and became the Emperor Jara-so-zirma I, the Dustless One, who is above all Marks, and transcendent over the houses and the clans. But what Mark does the emperor wear? The ShionDo, who is greater than all allegiance, wise beyond the partisan barricades of terrestrial power, with its thresh and grind of grudge and trivia, its sneaking after resource, and perpetual quests for vengeance? 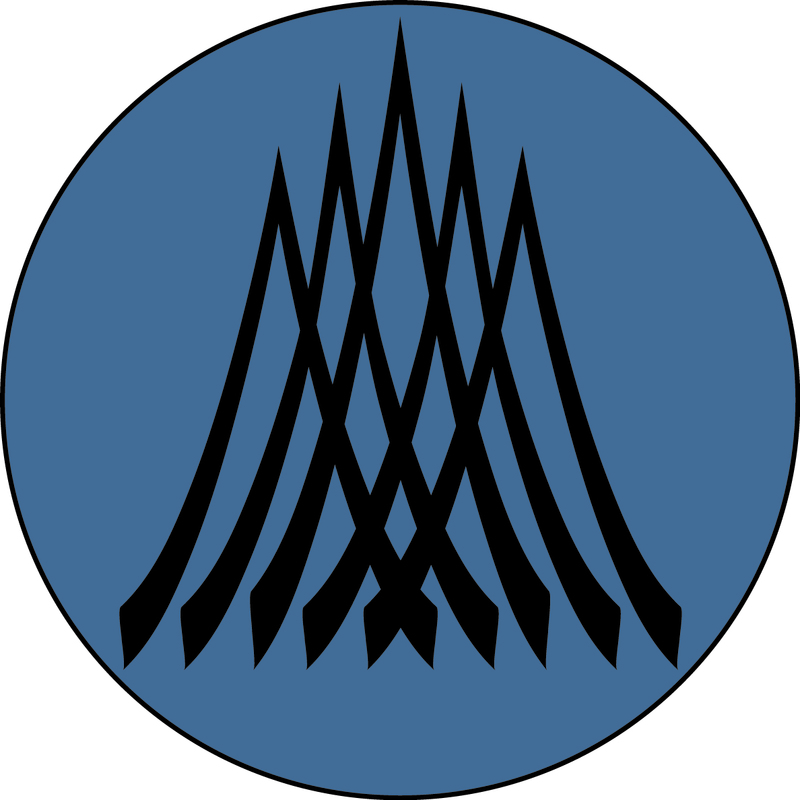 His Majesty was taken into the world of the SuMu, and adopted the Mark of the Five Towers as his immortal emblem. Yet, what is this Mark? With utter reverence, I ask it? My spirit quails at the thought of the beauty and mystery of the Mark of the Five Towers, the “ZorViwaShar” of the LateAncient tongue. For uncountable years, back into the Clouded Era, the solemn warriors of the Five Towers Mark guarded over the SuMu, and the Metallic treasures at the heart of the capital. All held the ZorViwaShar in awe. The warriors’ devotion to the Way was absolute, their vigilance over TanZo unparalleled. Through years so many they might be numbered as the drops of a great storm of rain, the warriors of the Five Towers remained in their posts, guardians of the heights: honed and refined to the perfection of their great task, they lived faithful lives, and their purity was considered without equal. Yet he who was Lord Quyonsoga Geiga, of a most noble and ancient Starless Darkness clan, dared to cross the moat, and submit himself to examination by the Three Bodies who guard over the Inner Precincts. The quality of Lord Quyonsoga’s illumination was proven through five days of test and trial: the abbot of the order of the MuKesho, the Isen of the Mark of the Hatching Egg, and the Isen of the Mark of the Five Towers, with their elders and their wise, every one of Subtle Rank, all of peerless purity, sought for a weakness in Lord Quyonsoga’s illumination, sieved for deviation or flaw, for any blotch or flutter that might disqualify His Lordship from assuming the Lotus Crown. No crack or dent, scar or scum, was found on the surface of Lord Quyonsoga’s illumination. His Subtlety was endless, its depths infinite: all representatives of the Three Bodies agreed – this was a man fit to be declared Dustless, to be granted access to the devices and symbols of the vanished ZuthDomin, our ancient ancestors. In this way, a day arrived that none, surely, really believed could occur: a human being sat upon the Butterfly Throne, the first in memory or record to take on the emblems of the power of the Metallic ones. An event of wonder! And treasured by all who treasure the TanZo, the peerless and tranquil Way. His Majesty, already conqueror of Shar, promises us his utter will and effort, that the whole of the fifty cantons of the ancient map shall once again be unified into a single state, bound under the one law of the Way, watched over by the one ruler, he who is lord over the lords, the ShionDo, the Dustless One, that the sutras may be followed, that peace may adhere between the mountains in the dawn and the ocean to the dusk, from the ocean in the ice to the ocean in the fire, that all the parts may be drawn into a perfect whole, flawless and beyond all enemies. A tremendous prospect, devoutly to be craved. Certainly, certainly… Yet here, in the enclosure of my private journal, I do wonder, am I the only soul of Shar or of the greater land of the west, to find himself troubled by the rise of this most complete man to the altitude of emperor? Who has taken, as his personal Mark, the Five Towers, and who lives within the moat of the Kaidan, the most sacred place in all the universe? It is not the Way that we allow to gods or angels power over our human spirits: in our cosmogony, there is no heaven, no immortal regime upon us, no divine order to which we must bow – the Way is ours to build, ours to maintain, ours to rely upon and to hand down. So to speak of the SuMu as heavenly, I do not mean to say it partakes of deity or of the schemes of gods, but merely to voice my reverence and awe for the world into which Lord Geiga entered. It is strange. I do not doubt His Majesty’s perfection. He is all accomplishment. It has been my honour and humility to meet His Majesty in person, both before he rose to the crown and afterwards, and he has always impressed me with his beauty, the calm grandeur of his spirit, which is like none other in this world. But to assume the Butterfly Throne? To wear the Lotus Crown, to make the warriors of the Five Towers Mark his personal guard, and to bear that celestial Mark… It is unnerving. Am I the only one to halt and wonder, if it is right, for us to close the gap between our finite human spirits and the dreamlike world of the Metallic ones? For all those years, no one managed to cross the moat, to enter the Inner Precincts. They were a kind of heaven, in my view – too perfect for us. They comprised a certain inviolability. We could always look to them, to the utter heights of the city and of the human spirit. It was apt, in my humble view, that the Inner Precincts remained vacant, untouched by the needs and devices of terrestrial power. I am His Majesty’s most admiring servant, which is to say, I am a simple man of TanZo. Is it sentiment in me, or aching nostalgia, or pragmatic fear, or a mix of all, makes me teeter and balk at this new order?